The drag housing is made from the same solid bar stock as the frame. There is no need for a separate threaded cassette. This allows the reel to be narrower, reduces mass and strengthens the frame. Though larger in each line weight vs. the prior generation, it's actually lighter in mass through integrated drag housing and more frame porting. 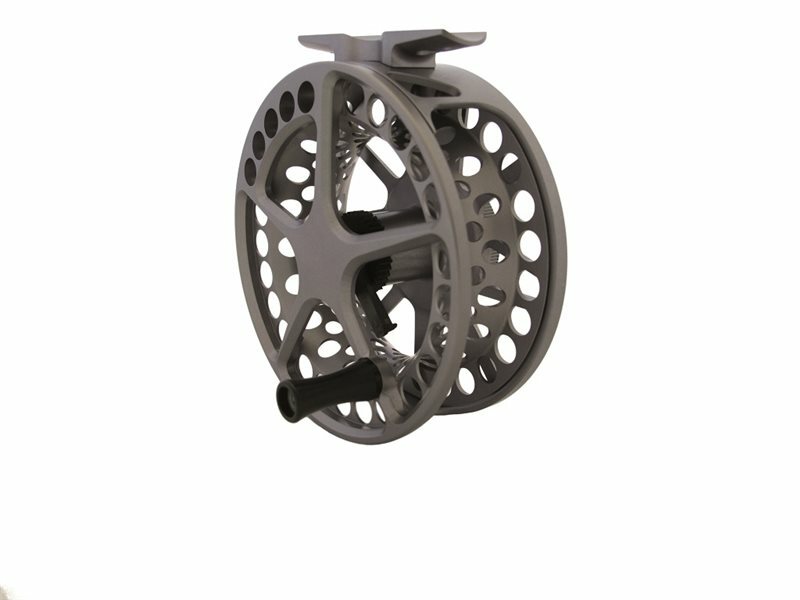 More aggressive ratios (larger diameter/narrower spool) means faster retrieve and easier line management. New and improved drag knob with zero snag points features full diameter with aggressive serrated knurling. The Generation 5 with Micra proprietary finish is 20 times more impervious to corrosion than standard anodize, and just as hard as Type III Hard Alox.